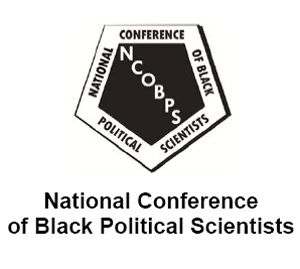 The National Conference of Black Political Scientists (NCOBPS) is proud to announce the 2016 Hanes Walton, Jr. Award for Quantitative Methods Training, which provides scholarships to support participation in the ICPSR Summer Program in Quantitative Methods of Social Research. The scholarship is named after Hanes Walton, Jr., an attendee and supporter of the ICPSR Summer Program, a luminary in the study of American electoral politics and African American Politics, and a co-founder of NCOBPS. The Hanes Walton, Jr. Award is a waiver of registration (tuition) fees for the 2016 ICPSR Summer Program’s four-week sessions, which include courses on a variety of topics, including introductory statistics and data analysis; regression analysis; Bayesian modeling; maximum likelihood estimation; game theory; network analysis; and quantitative issues in the study of race and ethnicity. The First Session runs from June 20–July 15, 2016, and the Second Session runs from July 18–August 12, 2016. All courses are held in Ann Arbor, Michigan. Awardees are eligible for a small travel stipend. The NCOBPS encourages faculty and graduate students from Historically Black Colleges and Universities, as well as women and minority graduate students and faculty at other institutions, to apply for the Hanes Walton, Jr. Award. There are no citizenship requirements, and awardees will be selected regardless of race, national origin, religion, gender, age, disability, or sexual orientation. For more information about the ICPSR Summer Program, visit icpsr.umich.edu/sumprog or contact sumprog@icpsr.umich.edu.